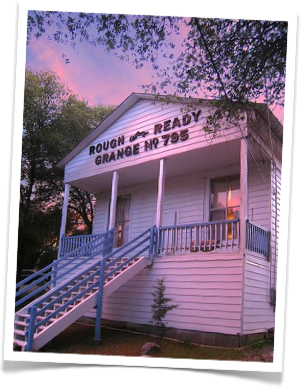 The Grange is concerned with Family and Rural America. But the Grange is also a community service organization. Many Granges donate time and/or money to their communities. The Grange is also involved in a wide variety of legislative activity from sponsoring local debates and candidates' nights to testifying before state legisatures and Congress on areas of concern.